As white people, we should approach the conversation and activism surround race and racism with humility. In many ways, we are visitors to a conversation that has been ongoing for years by People of Color. 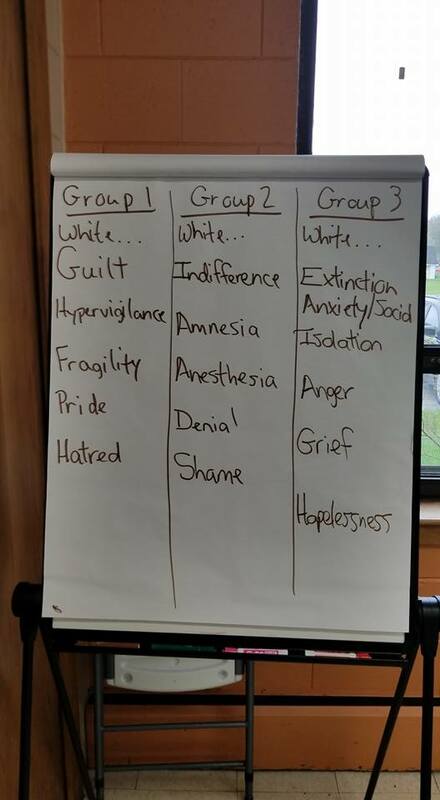 This is a one day workshop for white Christians who are seeking to listen and learn about privilege, in order to become better allies to People of Color. Every human has intrinsic value as one created in the Imago Dei (Image of God). The needless suffering caused by racism must end if we hope to usher in the beloved community, a community made up of all humankind. This one day workshop is for white Christians seeking to end racial discrimination and injustice, starting by looking at ourselves, our whiteness, and the privilege that is inherent in that whiteness, and then moving out into our relationships, communities, and world we live in. * ** There is required reading and viewing prior to the day of the workshop.